I recently completed a fireball for my neighbour and friend Richard Branson. 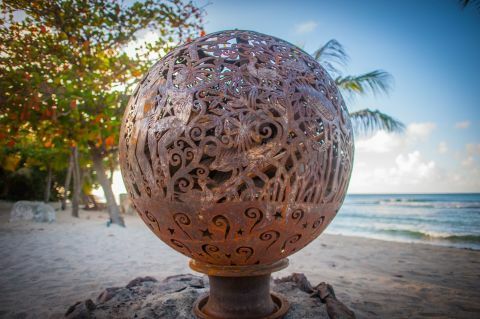 The fireball will have its home at his private residence on Necker Island. The fireball is comprised of depictions of many of the interesting people who have visited the island over the years – including the wildlife! Sir Richard has written a blog about the fireball which can be found on his website the link for which is below.